Infant gift set. Baby girl onesie. 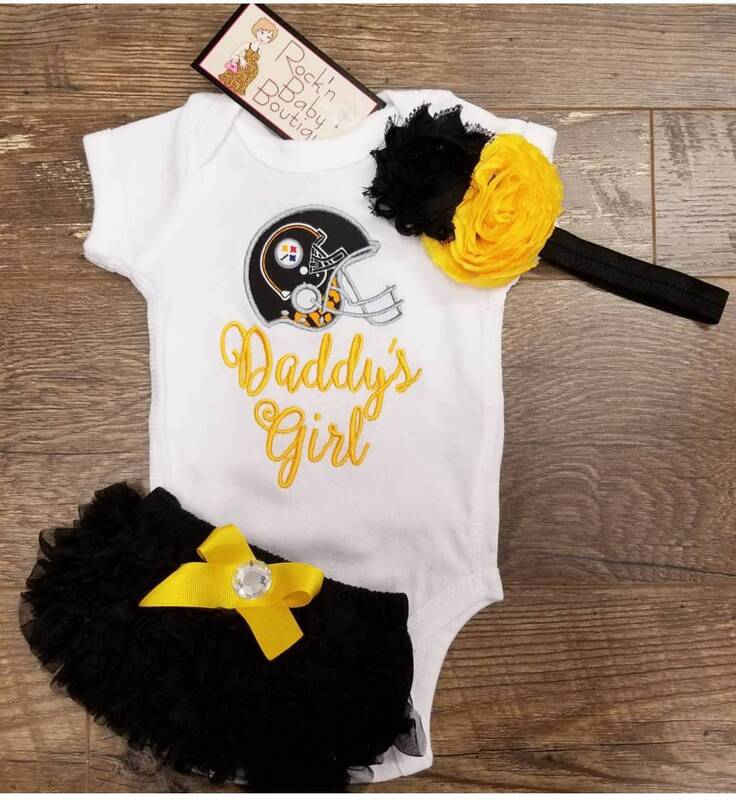 Pittsburgh Steelers Onesie. Steelers baby girl. This gift set is custom made in your favorite team. 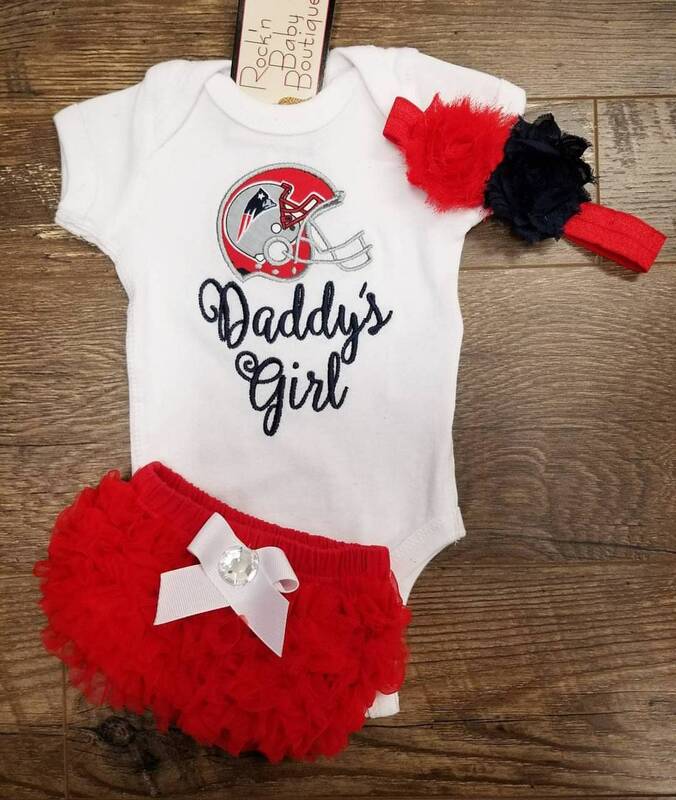 We can create any NFL, MLB, or college team set. Set includes onesie with team logo, embroidered saying if your choice. "Daddy's Girl, Mommy's Girl, Papa's Girl, etc"
Bloomers will be made in color to match team. Matching 7" infant headband included in team colors. 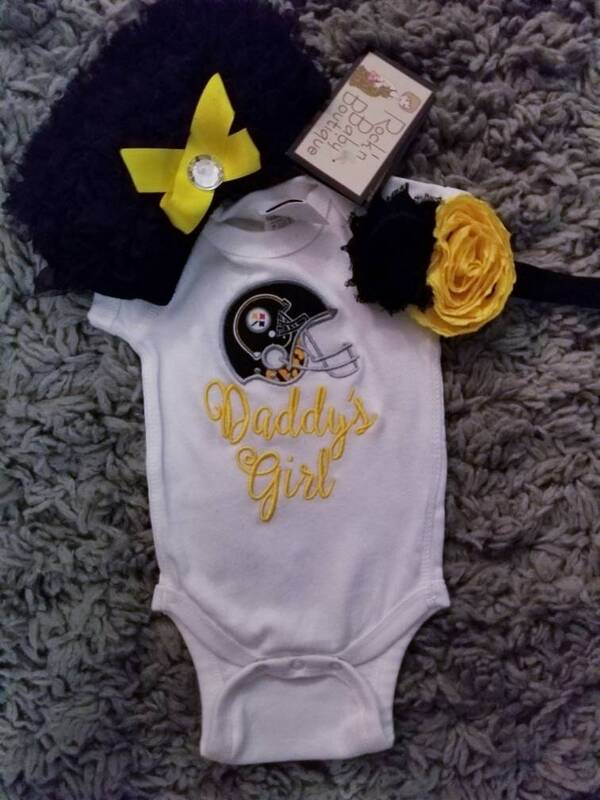 Darling Pittsburgh Steelers Onesie! 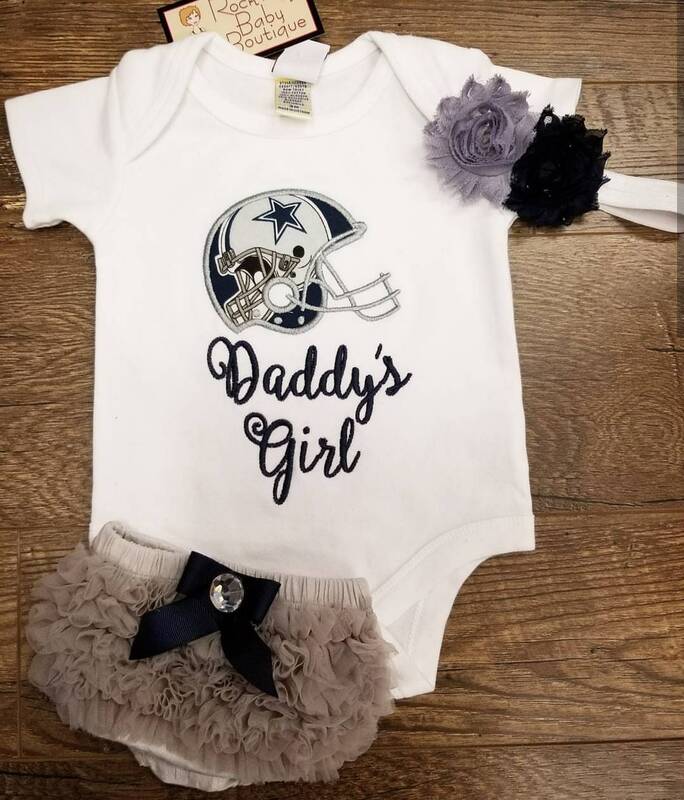 Purchased for the soon-to-by daddy! Smooth transaction from start to finish. Safe, secure packaging. Very pleased!!!!!!!!!!!! !